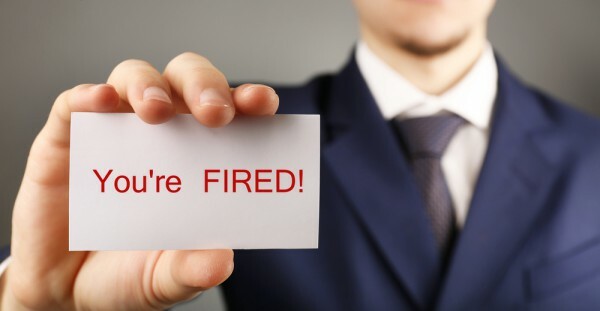 In North America 32 percent of data breaches have resulted in a C-level manager, president or CEO losing their job, according to new research. The study from Kaspersky Lab shows that 42 percent of businesses worldwide experienced at least one data breach in the last year. When a data breach occurs it not only results in a costly recovery burden, now put at $1.23 million on average, but it can also impact the company's reputation, customer privacy, and even severely impact employees' careers. The research highlights how responsibility for a breach often extends beyond technical IT employees. Among employees let go, senior non-IT employees were laid off in 29 percent of small and medium-sized businesses (50 to 999 employees) and 27 percent of enterprises (over 1,000 employees). "While a data breach is devastating to a business as a whole, it can also have a very personal impact on people's lives -- whether they are customers or failed employees -- so this is a reminder that cybersecurity has real-life implications and is in fact everyone's concern," says Dmitry Aleshin, vice president of product marketing at Kaspersky Lab. "With data now traveling on devices and via the cloud, and with regulations like GDPR becoming enforceable, it's vital that businesses pay even closer attention to their data protection strategies." Among other findings are that 45 percent of SMBs and 47 percent of enterprises have had to pay compensation to customers affected by a breach, and 35 percent of SMBs and 38 percent of enterprises have reported problems attracting new customers as a result of losing data. In addition 27 percent of SMBs and of 31 percent of enterprises have had to pay penalties and fines. You can find out more in the full report which is available from the Kaspersky Lab site.